We started the reconstruction of the 1665 period. In the village, you will be able to visit the pub De Swane, the brewery, the school and a home weaver of tapestries. 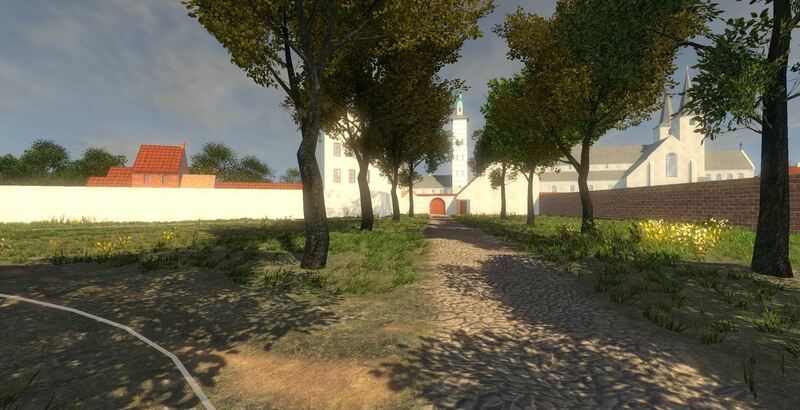 In the abbey, the focus will be on the different gardens and orchards. The reconstruction will contain not only objects from the Ename museum but also from other archaeological museums in East-Flanders.